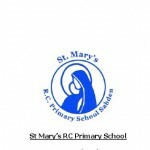 Religious Education plays an important part in all we do at St Mary’s. Our faith is the backbone of our life both in and out of school and our belief in Christ is at the heart of all our decisions. We currently follow, Come and See as our RE programme (see link below). To read our RE policy click here and to read our Collective Worship policy click here. The displays in our classrooms encourage and reinforce our Christian beliefs – they are working displays that grow alongside our RE curriculum. They are also interactive and encourage children to be reflective, thoughtful and to pray.